ProCharger® P-1SC-1 supercharger, patented and proven self-contained oiling design eliminates the need for external oil lines. 3-year warranty available. Large, 3-core air-to-air intercooler helps to provide the industry’s coolest charge air temperatures and largest, safe power gains, and comes standard with an industry-best 3-year warranty. Available for automatic and manual transmissions. OEM quality and outstanding installed appearance. 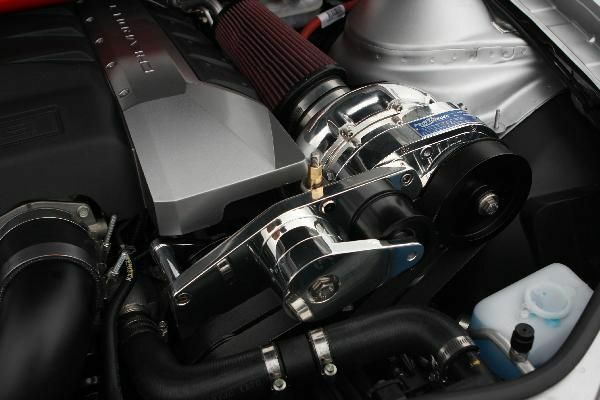 Building on our industry-leading experience with supercharging GM LS engines, ProCharger is once again first-to-market with an air-to-air intercooled supercharger system and tuner kit for the popular 2010+ Camaro SS. 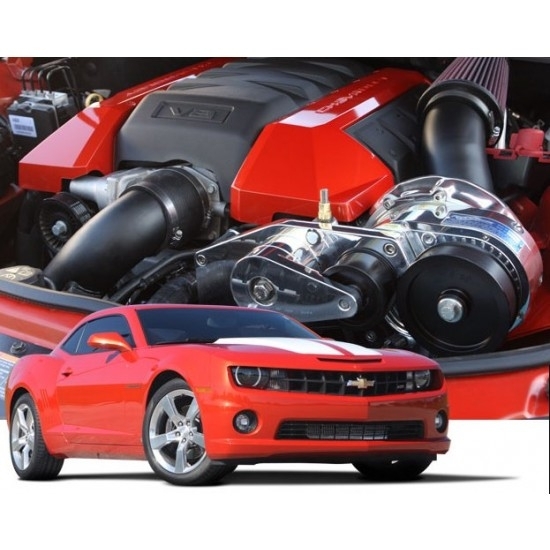 Utilizing the patented and proven, selfcontained ProCharger P-1SC-1 supercharger, a highly effective airto- air intercooler and dedicated 8-rib drive, a ProCharger system or tuner kit can add 175 or more horsepower to an otherwise stock Camaro SS running high quality pump gas. The HO Intercooled System comes 100% complete, including the industry-leading ProCharger supercharger, air-to-air intercooler, intercooler tubing, brackets, 50 lb/hr fuel injectors, ProFlow bypass valve and computer programer. Thanks to the industry’s coolest charge air temperatures, the unmatched power gains are delivered with maximum reliability and everyday driveability. D-1SC through F-1R, 12-Rib Drive*and a Cog Race Kit are available for modified engines. USE COUPON CODE FORCEFED to get an additional 250.00 off!! I'd like to get a price on the D1SC stage II kit,pm me a price please.